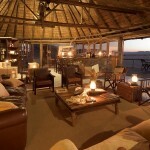 See a slideshow of Namibia’s Top Safari Lodges. Namibia came onto the pop-culture radar three years ago, when Angelina Jolie and Brad Pitt stayed at a beach resort on the country’s Atlantic coast here while awaiting the birth of their third child. For many, it was the most they had ever heard about this southern African locale, which, it turns out, has a lot more going for it than a brush with Hollywood celebrity. Namibia has been quietly coming into its own for more than a decade. In addition to spectacular landscapes-vast deserts with thousand-foot sand dunes and a coastline strewn with bleached whalebones and ancient shipwrecks-Namibia has some of the biggest yet least-known game parks in the world. The fourth-largest country in Africa (it’s twice the size of California, which means a flying safari is the best way to see its wonders), Namibia has one of the continent’s smallest populations but one of the highest literacy rates-and most stable democracies. The country is delightfully unspoiled, and the government wants to keep it that way. Tourism here is low-key: the emphasis is on small, well-designed, environmentally sensitive lodges in remote areas of the country. The last decade, especially, has seen a number of exciting new properties make their debuts in remote areas of the country. For instance, the Namib Desert-the second largest on the planet after the Sahara-runs for 1,200 miles along the entire Atlantic coast of the country. A decade ago, adventure-travel company Wilderness Safaris (Boundless Journeys Southern Africa travel partner) acquired a 90,000-acre spread adjacent to the colossal Sossusvlei sand dunes to create the Kulala Wilderness Reserve. Today, this private park contains three small lodges-the newest of which is Little Kulala, which offers 11 stylish, thatched-roof villas, each equipped with a rooftop terrace for stargazing. Kaokoland, in Namibia’s northwest corner, is greener than the Namib and is home to many Himba, a nomadic people numbering 12,000 who are scattered throughout northwestern Namibia and southern Angola. The Serra Cafema Camp here features a main lodge sitting on stilts, offering stunning vistas of an oasis of green albida trees above the Kunene River. 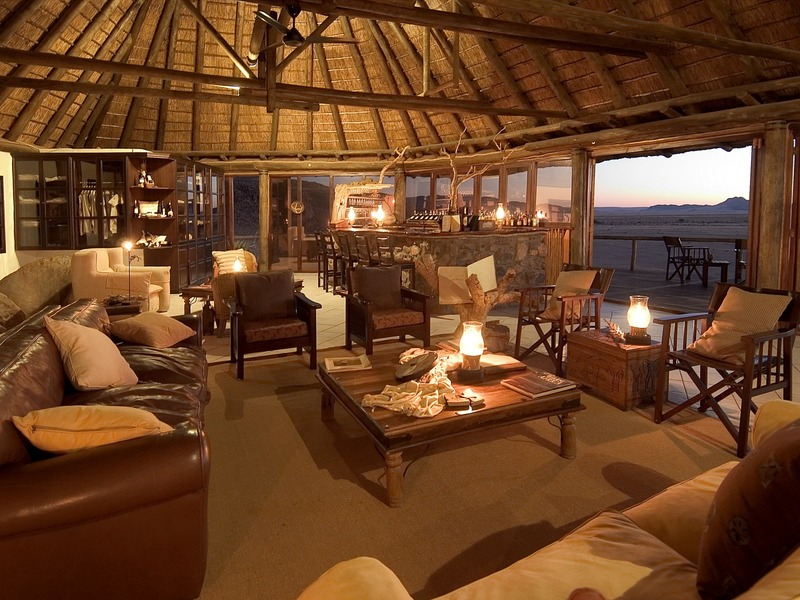 Whether your preference is for a tented resort in the desert or a casbah-style fort on a zebra-filled reserve, Namibia has a safari lodge that is worth the trek. Boundless Journeys offers private and small group safaris to Namibia, and other Southern Africa destinations such as Botswana and Namibia. To learn more about these destinations please visit: Namibia Safaris Botswana: Wilderness Safari Botswana: Ultimate Private Safari About Boundless Journeys Selected as one of the “Best Adventure Travel Companies on Earth” by National Geographic Adventure, February 2009. If diversity of adventure is what you are seeking, Boundless Journeys has trips to satisfy your most imaginative spirit. Offering worldwide adventure tours, featuring experiences ranging from wilderness treks to cultural journeys, we always find the hidden gems of each destination. 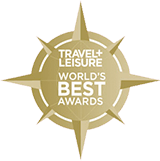 Small group or private itineraries, memorable accommodations, and expert local guides define the signature Boundless Journeys adventure travel experience.